Former President Mahinda Rajapaksa has indicated his interest in meeting representatives of the main two minority communities, sources said. According to sources, Rajapaksa wants a platform to discuss the current political situation in the country with them, and a tentative meeting is scheduled for next month between the representatives of both communities, including leaders of political parties, and Rajapaksa, who has been largely unpopular in the face of both minority communities. Sources said that Rajapaksa is seeking their support in his efforts to further strengthen his position in the political spectrum. 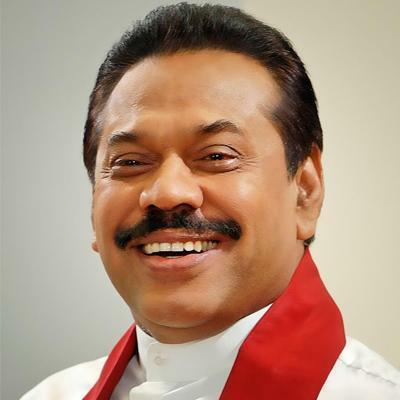 “The Sri Lanka Podujana Peramuna which is indirectly led by Rajapaksa is hoping to contest the local government elections later this year, and it is very likely that during the meetings, this will also be discussed,” sources said. Rajapaksa largely lost his popularity among the Muslim community following the Aluthgama carnage in 2014 allegedly carried out by the Bodu Bala Sena, which was a movement with the support of Gotabaya Rajapaksa, the then defence secretary and brother of Mahinda Rajapaksa. Meanwhile, last week, Tamil National Alliance Leader R. Sampanthan castigated the present government under President Maithripala Sirisena and Prime Minister Ranil Wickremesinghe and said that the Tamil community was losing patience and was also disappointed by the Yahapalanaya Government, as they were treating the Tamils very similar to how Rajapaksa’s government treated his community.